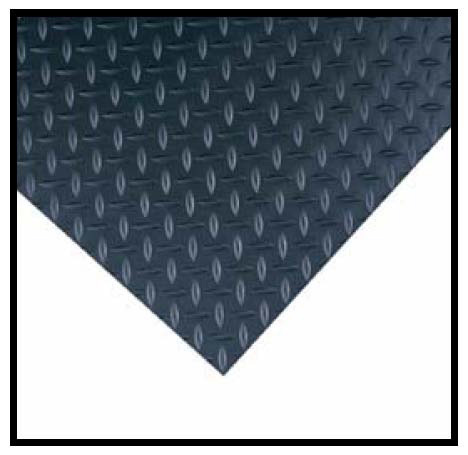 Insulated Battery Blankets provide shielding and arc suppression for work around battery and charging equipment. Meet relevant ASTM standards (F1742 or F2320). 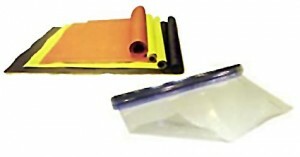 Available in PVC, insulating to 7500 volt-amps. Available in 30 foot rolls or 3 foot sections. Click here to contact us for ordering information! 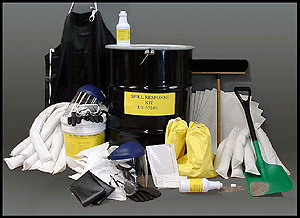 Kit enclosed in 55 gallon steel drum contains personal safety wear, clean-up equipment, and Neutralizing Adsorber for responding to acid, alkaline, or petroleum spills. Insulating matting prevents the technician from being grounded thereby preventing electrical shock.